A brilliant bouquet featuring an array of silk flowers in varying shades of pink, lavender, and purple. 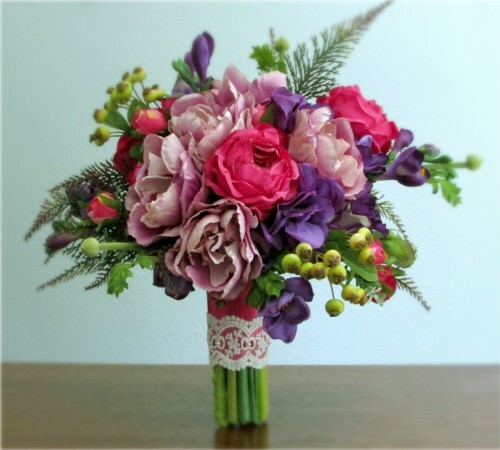 This suite includes ruffled lavender tulips, hot pink ranunculus, deep plum colored lisianthus, purple freesia, and hydrangea. 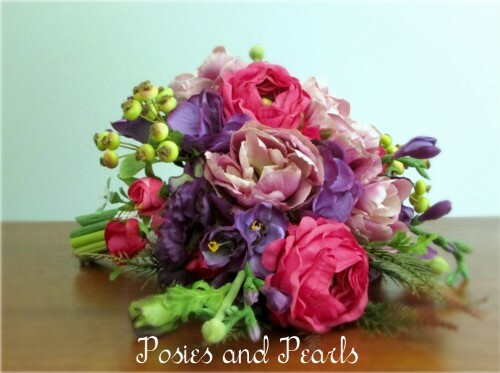 Each bloom is carefully hand arranged to create a romantic, cascading, bohemian style bouquet. 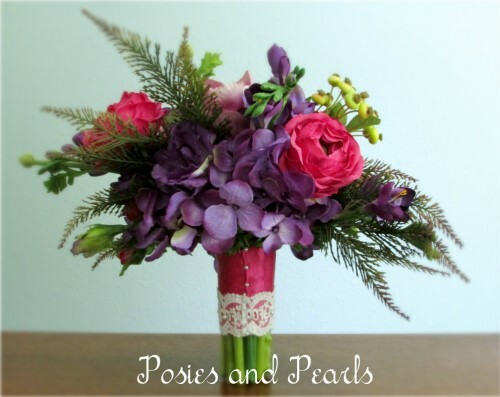 Feathery spike ferns accent the blooms and add to the natural look of the bouquet. The handle is wrapped with magenta satin and highlighted by a band of lace. The base of the stem are exposed to add to the fresh cut appeal of this silk flower bouquet. 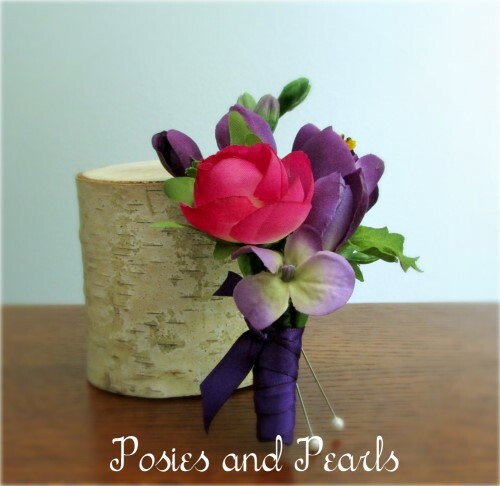 The coordinating boutonniere features plum colored freesia blooms accented with a magenta pink ranunculus bud, purple hydrangea and green leaves. It is wrapped with purple satin. CUSTOM ORDERS: Prefer a different color scheme? Have a larger wedding party? 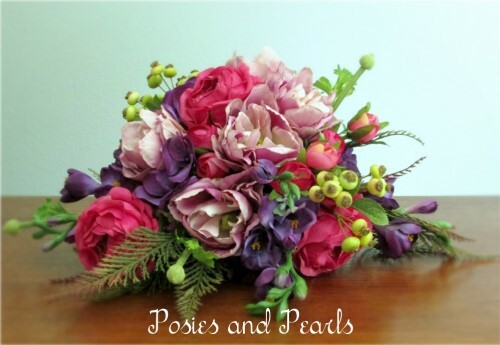 I can also create coordinating pieces for each of your attendants including additional bridesmaids’ bouquets, corsages, boutonnieres, jewelry, ring pillows, and flower girl baskets. Contact me and I will be glad to assist you.